Get temperature and humidity levels at a glance — even from across the room. 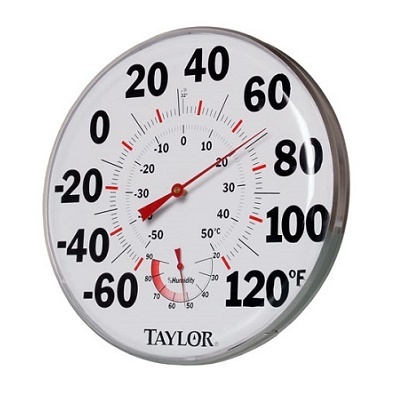 The Active Air temperature humidity gauge has a familiar clock face with large numbers on a large 12″ dial. You'll always be informed of the climate in your growing environment.